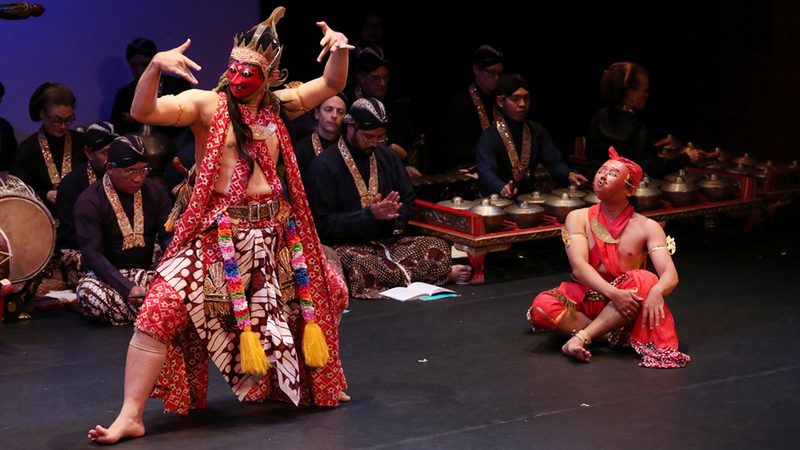 NEW YORK, November 11, 2018 — In conjunction with a visit from Hamengkubuwono X, the Sultan of Yogyakarta in Indonesia, musicians and dancers from the sultan's court perform traditional dances at Asia Society New York. The first part of the program included golek menak, a dance inspired by stick-puppet theater (wayang golek) popular in rural areas of Yogyakarta, and wayang wong ("mask dance fragment"), a ritual affirmation of the power of the court first created by Sultan Hamengkubuwono I. For more information on these dances, read the program notes.